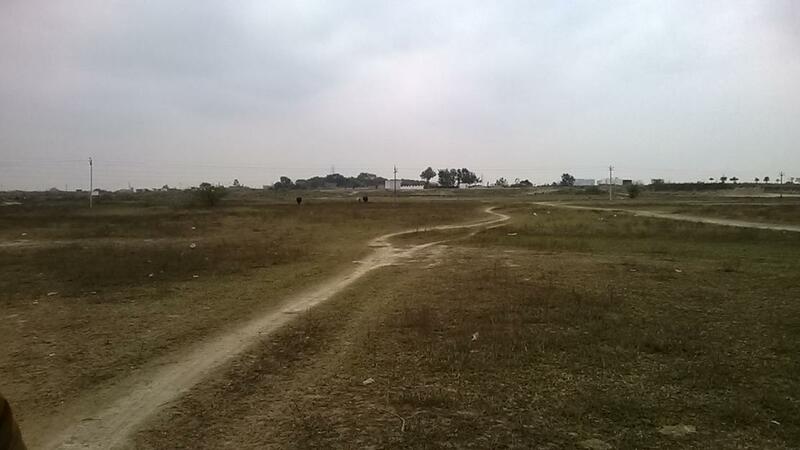 100 bhiga pakka agriculture land for sale in the front raibareli road with 400 feet front from the main road . 15 km from mohanlal ganj , with registered agreement of 25 bhiga time duration of complete the project is one year good for plotting or farm house in this sight . all the document are clear and clean @ 32,00,000 / bhiga . distance from mohan lal ganj is 11 km , air port distance is 40 min , railway station 10 min ( mohan lalganj station ) , bus stand 10 min . on average the plot rate is near about Rs 150 to 300 rs / sq feet , good for plotting , farm house , industrial or ware house uses school/college.bus auto facilities near from the land .